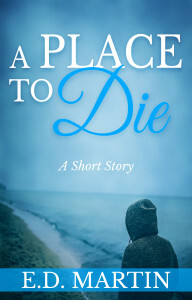 The short story I posted from in December, “A Place to Die,” is getting great reviews on Amazon, so I’m going to use it for today’s excerpt. And because it’s one of my favorite stories I’ve written. When Libby Starr spends a summer helping out at her mom’s bed and breakfast-turned-hospice, she doesn’t expect to spend her time babysitting someone like Mr. Calloway – a young, vibrant financial planner with a mischievous streak. But Mr. Calloway is sicker than he seems, something neither he nor his family want to acknowledge. Can Libby help him accept his fate without losing her heart? While stargazing earlier in the summer, Mr. Calloway brought up the Big Dipper (right before a seizure sent him to the hospital – but he was okay!). They’re back on that subject in today’s scene. “Remember that myth about the Big Dipper?” he asked. Get the rest of my story FREE when you sign up for my mailing list or for just $.99 on Amazon. Then post a link to your eight sentences blog entry, or join the fun at the Weekend Writing Warriors website. And if you’re a writer, sign up to be one of my Friday Five authors, which gets you and your latest work featured on my blog. Charming in a moment when he is ill. Good writing, as always. Likening himself to a nymph fleeing the bad gods of Wall Street. :-) Good stuff! And congrats on the great reviews. I enjoyed the modern twist on mythologizing. Well I thought he was making a good effort at creating a bit of mythology there, loved the snippet! Ridiculous, maybe, but not stupid. Silly and sweet, I’d say!